The Guernsey Bicycle Group (aka GBG) came to me with a brief to “bring the brand into the 21st Century” whilst still being friendly to entice everyday folk to “get on their pushang!” (Guernsey speak for bicycle). 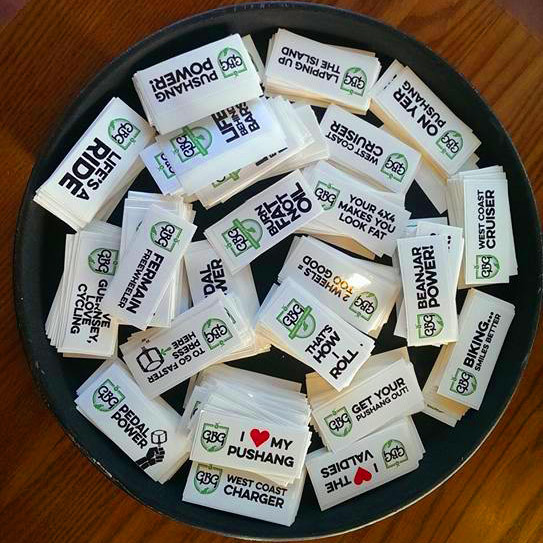 Along with this new initiative would be stickers, t-shirts and events promoting the many benefits of cycling. Being a fellow cyclist, I jumped at the opportunity to help this great community initiative. I took inspiration from the nostalgic old bike frame badges of the past, like Raleigh, Dawes, Peugeot etc which the group loved. The result was a new logo, some “frrresh” emotive bike stickers and t-shirts (modelled by yours truly!) for all. 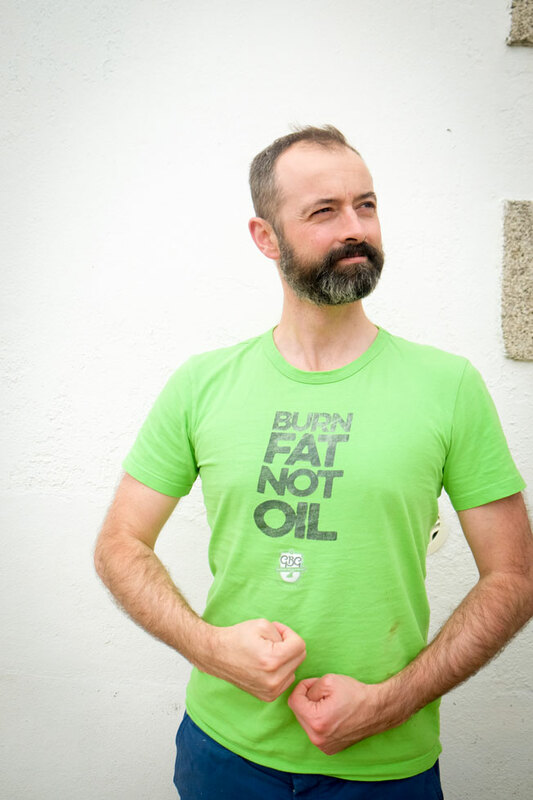 You can get your very own GBG t-shirts here. For bike stickers contact GBG direct. 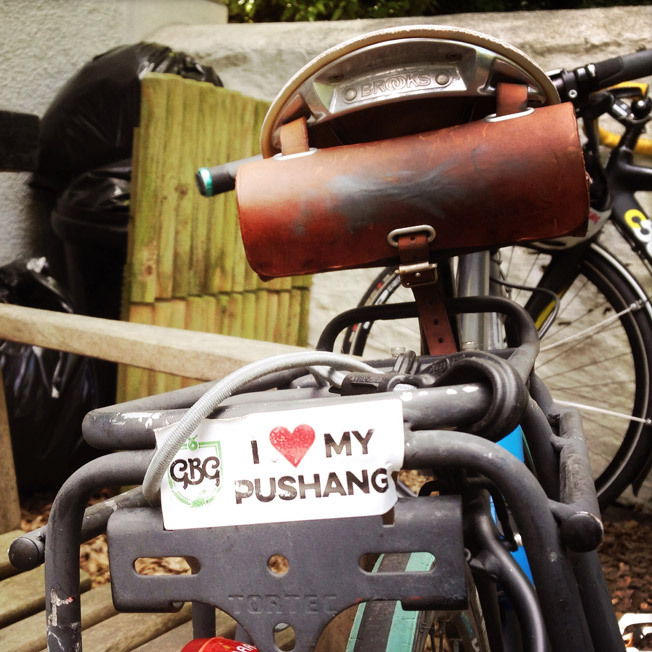 The GBG goes from strength to strength as Guernsey becomes more cycle friendly and more locals embrace the pushang.